For many people, the classical image of Christmas is the picture postcard image of houses emitting a warm glow amid the deep snow, the kind of scene that in reality only exists in the Alps or Scandinavia. For most, the festive period is more likely to simply be a bit wet and chilly, rather than a winter wonderland. That means anyone who fancies something different could indeed head for somewhere with lots of snow and fir trees – or do the opposite and enjoy a warm and sunny Christmas somewhere like Zanzi. There are great reasons for choosing the Zanzi Resort for your festivities. Located on the wonderful Tanzanian island of Zanzibar, you can leave the cold days far behind and relax in the heat of the day, before enjoying some great nights of entertainment or relaxation. Cast aside those winter woolies and instead head to the beach, or relax in the pool. Best of all, get away from the crowds and spend the time alone with a loved one. A range of seven different villas are available at the resort, each of which have a private garden and swimming pool. While they have individual character, what you can be sure of is lots of space, light and a neat, plush interior, just perfect for a relaxed holiday in which the weather is warm but you feel chilled. 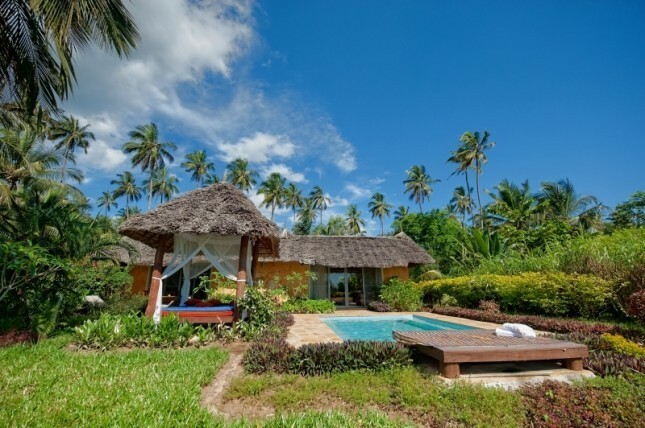 A couple of the villas are particularly private and secluded, making them ideal for honeymooners. Of course, there is lots to do around Zanzibar. For example, you can visit Prison Island, which sounds ominous but in fact the jail on Changuu Island was never actually used, although the island did serve as a quarantine station. Today, however, it is home to a colony of giant tortoises gifted by the Seychelles some 150 years ago, which means many of the youngsters will be getting middle-aged by now. There are also Zanzibar Boat rides, a trip to the historic Stone Town and the unforgettable Spice Trail, the last showcasing both the produce of the area and the history behind it. So for a truly different Christmas, the Zanzi resort is the place to go.